The key phrase here is EXECUTED PROPERLY. They have so much business in the pipeline that they don’t have time for the new leads that can be generated by a blogging and social media program. They have not seen any results from blogging, so there’s simply no compelling reason to continue. Companies that have experienced the results made possible through blogging never quit. No way. These companies do quite the opposite – they do everything possible to increase their posting proficiency. Blog writing success or failure is decided by three factors. Fail #1: They don’t post with purpose. 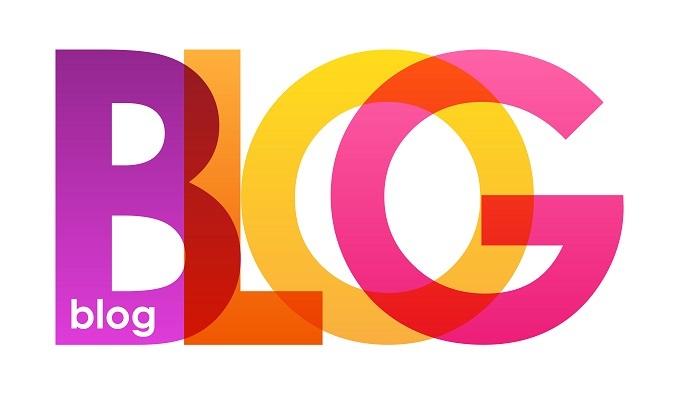 Blogging has several goals including driving website traffic, engaging visitors once they arrive, achieving higher search rankings and moving prospects through the buying cycle. Yes! Amazingly, great blog content supports all of these goals IF the writing strategy is intentional. To engage visitors, articles need to address the topics that readers care about. They need to avoid overt self-promotion aside from a call-to-action at the end. And, articles should be easy to read and jargon-free. To achieve page ranking, they must be intelligently optimized while avoiding keyword stuffing. More importantly, the content MUST BE ORIGINAL and posted only on your website. Buying stock content from a vendor that sells the same content to other companies does not work – in fact, if you have too much duplicate content on your website, Google may not rank you. To move prospects through the buying cycle, articles should end by telling readers what to do next. Are there related articles to read or resources to download? Great blog articles don’t leave readers hanging, they end with a call-to-action. Use an editorial calendar to plan subjects and posting dates in advance, being cognizant of seasonal topics and buying cycles. We recommend planning an entire quarter of content at a time. Deploy numerous content sources – in-house and outsourced. This is crucial. If you have one person assigned to blogging and that person leaves the company or even gets sick, your momentum melts. You must have a fail-safe plan. We recommend you outsource 50 percent of your blog content to a professional and delegate 50 percent of your blog content to in-house experts. Rotate the content responsibility between departments. For example, if you’re an insurance organization, assign the first week of the month to risk management; feature a claims case study in the second week; ask your sales team to address a recurring sales objection in the third week; and run a product or service spotlight in the fourth week. In this way, no one person is overwhelmed. Your team knows the schedule far in advance and can plan accordingly. Simultaneously, create a topic schedule for the articles to be outsourced – so you have a total of two articles planned every week. Then, if your in-house expert fails to deliver on-schedule, at least you’ll have one outsourced article to keep your strategy on track. Strive to post no less than once a week; preferably two or three times a week. More posting volume leads to better momentum and faster results. Use your whole team’s network. Instead of only posting to company pages, make sure links to your blogs are posted to everyone on your team’s social accounts. If each person has 500 contacts, this exponentially expands your reach. These postings can be automated by using a social suite, or you can email suggested posts to share to team members each week and let them post themselves. Leverage LinkedIn groups. Companies that do this right attract hundreds of visitors each month by posting helpful content in professional groups frequented by their prospects. Use at least three social venues. For B2B, we typically recommend LinkedIn, Twitter and G+. Instagram is now bigger than Twitter, so if you have graphical content, that channel is worth exploring as well. Use an e-newsletter to provide a monthly content recap to your customers and subscribers. It’s a positive way to stay in touch with helpful information. Reach out to industry experts and bloggers. When you mention other companies, articles, solutions and studies, reach out to the people you’ve cited and let them know about your post. Chances are they’ll share it to their network as well. Repurpose content. A blog article is not a one-hit wonder. As long as it’s not self-promotional in nature, it can be slightly repurposed and shopped with magazine editors. It can also be used as a sales handout. If you nurture your prospects with email, include hyperlinks to helpful blog articles. The possibilities are endless. Ready to get blogging right? Don’t wait another day to put these ideas into action at your company. Trust me, you’ll be glad you did. Need help? Email me if you’d like a quote for outsourced blog writing services, and download our Sure Success Checklist for Writing Remarkable Blog Articles to help keep your content on track.